Anthropologie says it’s sorry for selling a knock-off of an artist's work. The announcement follows Australian ceramicist Tara Burke’s viral Instagram post last week, in which she called the retailer “scum” for selling from a vendor who had copied her vases without compensation or permission, reported BBC News. The retail chain has since retracted the products. “The welfare of our artist community is a priority for Anthropologie,” said the brand in a statement. “We deeply regret that in this instance, our safeguards did not hold up to our standards.” This is not the first time Anthropologie or its parent company, Urban Outfitters, have been accused of copying independent artists. 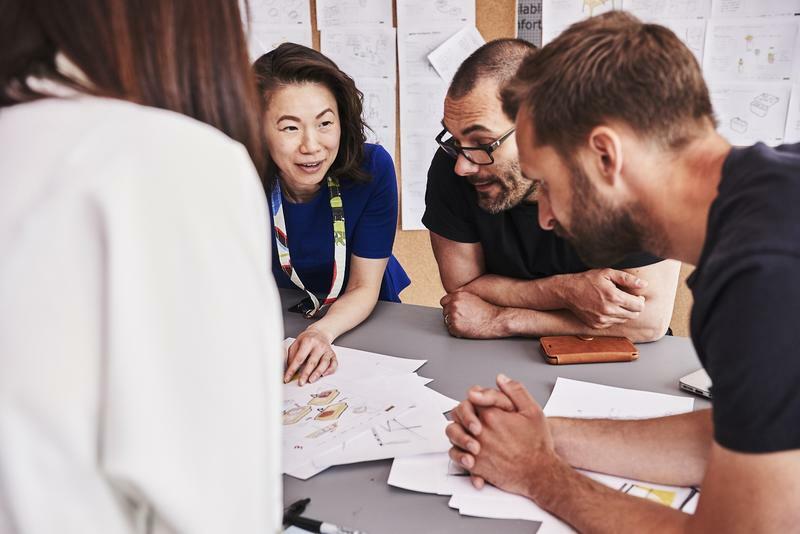 A new study by TD Bank found that millennials (ages 24 to 38), are the likeliest demographic to seek financing for furniture and home renovations, reported HFN. During High Point Market, the bank surveyed 100 furniture retailers and found that 41 percent of its millennial customer base is likely to seek financing when buying furniture. In a different survey conducted by Houzz in 2017, researchers found that millennial homeowners were the age group most likely to use credit cards to finance renovations. In both studies, baby boomers ranked lowest for both financing and credit card use. On November 1, in the wake of recently implemented Chinese tariffs, President Trump placed 50 India-made products on a list to remove their duty-free status, reports Furniture Today. Items include floor coverings and textiles, as well as hand-loomed and agricultural goods. MyWay, Wayfair’s new membership program, launched recently, giving members access to insider sales, free shipping, 25 percent off assembly, installation, some delivery options and other discounts for $29.99 per month, reported HFN. Benefits also extend to products from partner companies Joss & Main, AllModern and Birch Lane. Sherwin-Williams will spearhead a new initiative to make it easier to find professional painters. Focusing on career advocacy, training and recruitment, the company aims to reduce the shortage of career painters entering the industry. “Paint Your Path” will offer professional courses and information in English and Spanish. 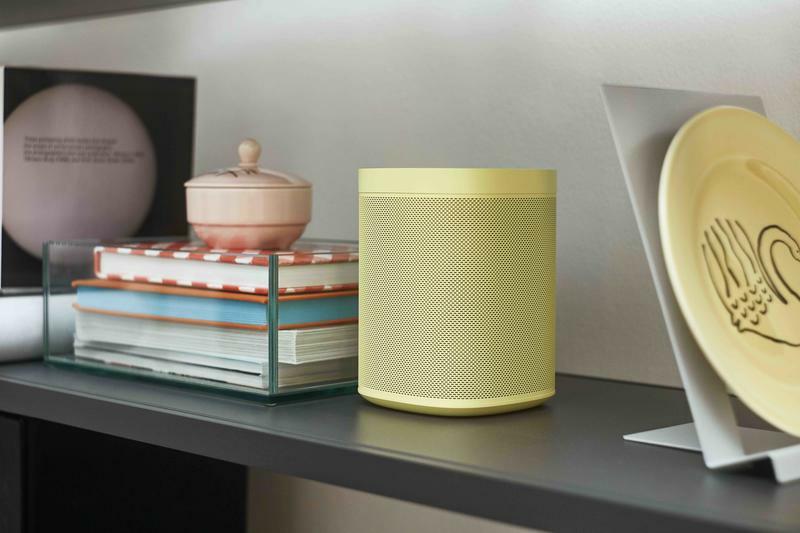 Hay has been busy since its acquisition by Herman Miller in June: The Danish furniture brand launched a limited-edition collection for Sonos this week, as well as its first dedicated e-commerce platform for consumers in North America. The Invisible Collection, an e-commerce brand for designer furniture, collaborated with artist and jewelry designer Harumi Klossowska de Rola and French goldsmith House of Goossens on six decorative objects and corresponding jewelry pieces. The product will be available online (prices range from 950 to 5,500 euros). Sustainable materials distributor CaraGreen launched a podcast to help consumers learn about green products. Its first few episodes focus on biophilic design and China’s recycling ban. Link Outdoor has released its first collection under new director of textile design Greyson Kirby. The Vista Collection, 33 SKUs consisting of sheer fabrics in new upholstery weights, were “inspired by that place where the skyline meets the sea on a foggy morning,” says the brand. Kirby hails from Ralph Lauren and Holly Hunt. Decorative lighting, furniture and accessories brand Vaughan has debuted its first nationwide “Made in the Shade” campaign, in partnership with Watts of Love, a nonprofit that helps provide solar lighting to people living below the poverty line. 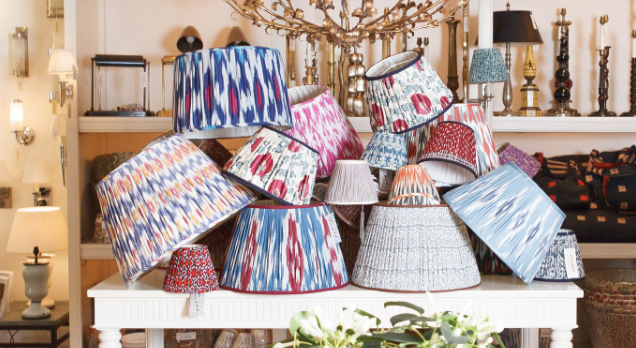 Fifteen designers, including Philip Mitchell and Sasha Bikoff, will design Vaughan lampshades for display in their local showrooms. For every social media post with the hashtag #vaughanXwattsoflove and #madeintheshade, the brand will donate $1 to Watts of Love. A silent auction on the shades will run throughout the month. Last year, Swedish retail giant Ikea partnered with 10 startups that focus on product and supply chain development to launch Ikea Bootcamp “to find partners that can help with the big challenges in creating a better everyday life at home for people all around the world, now and in the future,” the brand said in a statement. This year, the company is doubling down and plans to collaborate with 20 startups. The program lasts three months; applications are open through the end of the year. Luxury linen brand Riley launched its first children’s lines yesterday. Riley Jr. is made in the company’s fourth-generation family-owned textile mills throughout Europe. Bedding comprises four cotton sateen duvet covers and shams, as well as six sateen twin sheet sets and three reversible printed cotton sateen decorative pillows. For babies, there are crib sheets and muslin and star matelassé blankets. Bath will soon follow—and with it, a poncho and hooded bath towels (can’t they make those for adults too?!). The products range from $19 to $179, all available on the brand’s website. Retail nonprofit the Museum Store comes back to AmericasMart with Museum Store on Sunday. The day-long initiative, which will be held on November 25, encourages shoppers to buy conscientiously and support museums and their missions. 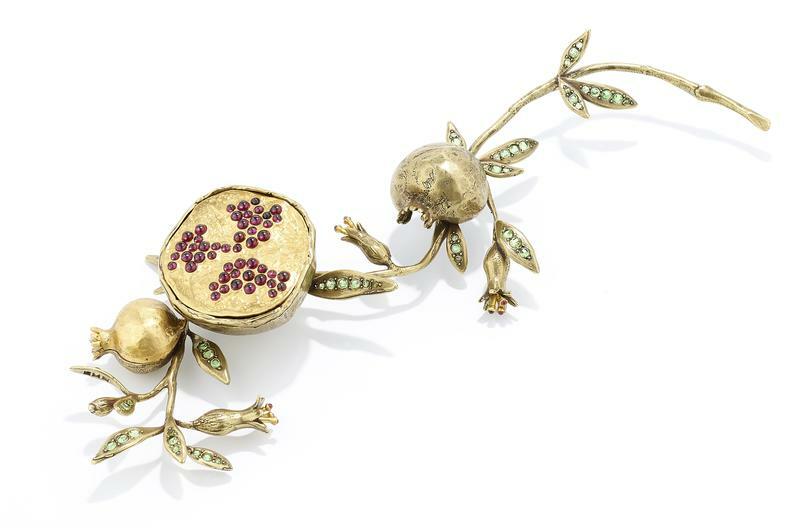 Lark Mason Associates is hosting an auction on works from the Byzantine period through the early 1900s that runs until November 14. The pieces are on view in New York and New Braunfels, Texas. Atlanta Homes & Lifestyles will host its 10th-annual Home for the Holidays Showhouse, which opens for public tours next week. “This sweeping, daylight-filled residence—which sits on a 1.5-acre lot—evokes the beauty of the English countryside,” says publisher Gina Christman of the 8,000-square-foot estate. Among this year’s participating designers are Carole Weaks of C. Weaks Interiors, Lauren Davenport Imber of Davenport Designs Ltd., Chris Holt of Holt Interiors and Noah J.& Co., Jessica Bradley of Jessica Bradley Interiors, Lauren Lowe of Lauren Elaine Interiors, and Lisa Joublanc of Lisa Joublanc Interiors. 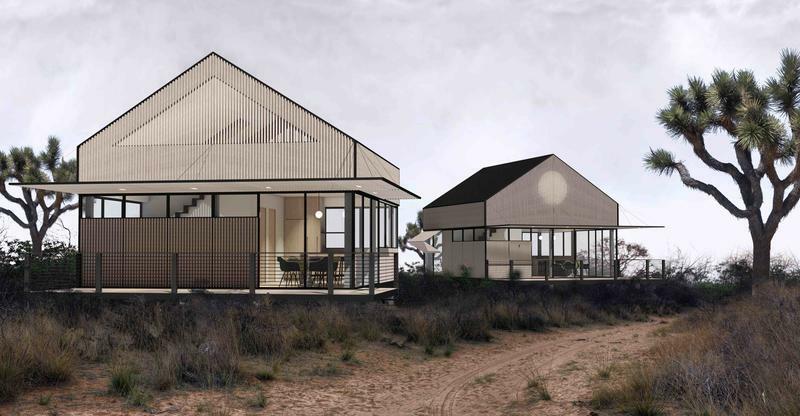 Yves Béhar unveiled his first prefab home in collaboration with Plant Prefab, called LivingHomes YB1, in Los Angeles last Friday. The home and its subsequent models are created to fit California's Accessory Dwelling Unit legislation, a response to the rise in housing demand. Congratulations to Skylar Morgan Furniture + Design and Hobgood Furniture for being recognized in this year’s Made in the South Awards, hosted by Garden & Gun magazine. Skylar’s Arciform sofa was the big winner, and Hobgood Furniture’s Belly Table was a runner-up. Ohara Davies-Gaetano received the Andrew Martin 2018 International Interior Design Award, an annual honor that celebrates international design, with the winner chosen by a panel of celebrity judges (this year’s list includes Elizabeth Hurley, among others). The firm was selected from 10,000 submissions and will be recognized this week in Los Angeles. Roll call! Kips Bay Decorator Show House Palm Beach, which opens at the end of January, announced its participating designers: Amy Meier of Amy Meier Design, Andres Paradelo of Paradelo Burgess Design Studio, Billy Ceglia of Billy Ceglia Designs, Cindy Rinfret of Rinfret Ltd. Interior Design and Decoration, Mitchell Brown of David Mitchell Brown, Peter Dunham of Peter Dunham Design, Tina Anastasia of Mark Finlay Interiors, and Vasi Ypsilantis of Vasi Ypsilantis Design Associates, among others.